Fiery Edge of Steel blog tour: Interview with Jill Archer + giveaway! We have a lovely guest this week: Jill Archer, author of the Noon Onyx series from Ace. I really enjoyed the first book in this series so I'm chuffed to have her visiting the blog as part of her tour. She's touring the blogosphere to celebrate the release of the second book in the series, FIERY EDGE OF STEEL, which has been on my Need!!!! list since I finished DARK LIGHT OF DAY. Check out my interview with Jill, full of tasty tidbits about her writing and the series, and then enter to win the tour-wide giveaway, which feature two amazing prize packs! Hi, Jill, and welcome to Tynga's Reviews! 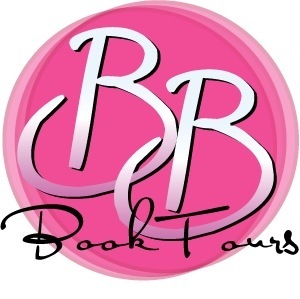 We're delighted to be part of your blog tour. Thanks so much for having me here, Jenn! I thought your questions were fantastic, and I wanted to give you detailed answers. But I do want to warn anyone reading this interview who hasn’t yet read Dark Light of Day that there are some SPOILERS in here. If you don’t like spoilers and want to read the first book, please bookmark this page and make sure to stop by later! To start, can you please tell our readers a bit about Noon Onyx and her world? Noon Onyx is a 21 year-old post grad magic user. In Dark Light of Day, Noon had to choose between death and training to be a demon peacekeeper. Dark Light of Day mostly took place in New Babylon, a city with a circa 1900's technology level that was built on top of the ancient battlefield of Armageddon in a country called Halja. The backstory of Halja is “Armageddon is over. The demons won.” But that happened over two thousand years ago. So the apocalypse is actually old news. In the “contemporary” world of the stories, the descendants of both Lucifer’s army and the Angel’s army work together to maintain peace. One of the things that most intrigued me about Noon's world is the duality in its magical system: waxing (healing, typically female) and waning (destructive, typically male). How did you decide to have two main types of magic and why did you name them after the phases of the moon? There are two types of magic that the Host (the descendants of Lucifer’s army) can inherit: waning and waxing magic. (And there’s also the faith magic that the Angels cast in the form of spells). Waning and waxing magic grew out of my love for nature. I’ve always been fascinated by the duality of nature’s forces. A spring rain versus a tsunami. A pollinating breeze versus a deadly tornado. Fire that cooks our food and keeps us warm versus a forest fire. These forces are part of a greater whole, the ebb and flow of life, and sometimes differ from one another only in degree. I also find it interesting when gender-neutral things are given gender identities (the characteristics associated with yin and yang, for example). So the idea was to take certain natural forces and turn them into gender associated magic. Naming destructive and creative/healing magic after the phases of the moon just seemed to fit. The waning phase of the moon is when light disappears – when it is destroyed. And the waxing phase is when light is growing – when it is created. To me, DARK LIGHT OF DAY, the first Noon Onyx novel, was all about Noon's struggles, both with her academics (which I complete related to as a doctoral candidate) and also with accepting her powers and, consequently, herself. What are some of the themes explored in FIERY EDGE OF STEEL? With Fiery Edge of Steel, I wanted to explore the themes of love, betrayal, knowledge, death, and duty. To set up those themes, I opened the book by recreating a Haljan version of the 16th century execution of Arnaud du Tilh, the man who impersonated the French peasant Martin Guerre. If anyone is interested in reading the first chapter, you can see what I came up with by visiting the blog hosts who shared excerpts of the first chapter. At the end of DARK LIGHT OF DAY, Noon chooses Ari over Peter. Is this the end of love triangles? Are Noon and Ari going to get a Happily Ever After? I know many readers either don’t care for love triangles or are burned out by them because there have been a few infamous ones in the book world, some of which took on a life of their own outside of the stories that created them. Frankly, I can’t promise that this is the end of love triangles in my own writing. I actually like them – in my fiction, not in the real world. I write fantasy in part because I don’t want to be too constrained by reality. And love triangles can be an interesting tool for a writer to work with. In Dark Light of Day I think it was fairly clear that Noon’s feelings for Ari were stronger than those she had for Peter. As you point out above, the biggest plotline of DLOD was Noon’s struggle for self-acceptance. So I used the love triangle to heighten that struggle. Ari represents accepting herself as she is, even if she doesn’t like her destructive magic. Peter represented pursuing her dream to change herself, but she wasn’t in love with him. I thought the love triangle made her internal self-acceptance struggle more layered and interesting. What I can promise (for those of you who may be groaning about having to put up with another possible love triangle) is that any love triangle will be well thought out. I wouldn’t just throw one in a book as a romantic sub-plot add-on. As for whether Noon and Ari get an HEA ending, revealing that really would be a spoiler! The only thing I’m willing to say is that, in general, I like happy endings and I always try to give every book a satisfactory ending. Can we expect to see more of Noon's family in FIERY EDGE OF STEEL? I really liked her brother, Night, and I'm terribly curious about her parents. And what about Peter? Is he still looking for the Reversal Spell? Will he make an appearance in FIERY EDGE OF STEEL? The only thing I’m willing to reveal is that Peter’s still around and we haven’t seen the last of him. What is your typical writing routine like? 8. What's your favourite part of summer? That depends on whether a deadline is looming or not. I tend to be a binge and purge writer. I wish I was one of those writers who simply put in 1,000-2,000 words per day, but I’m not. I spend a lot of time in the beginning of a novel just trying to organize my thoughts on it. I outline. I do a bit of research, do character sketches, build the settings, etc. And while I’m writing I research as I go. Sometimes I’ll go back and revise. I’m trying to streamline my process to make it more efficient. Was writing FIERY EDGE OF STEEL different from writing DARK LIGHT OF DAY? Was the second novel easier or did it have its own set of challenges? Definitely not easier. I’m learning that every book has its own set of unique challenges. But that’s what keeps it fresh, fun, and interesting, right? If you only had ten words, how would you sell FIERY EDGE OF STEEL? A fantasy adventure with action, romance, mystery, magic, and demons! Last I heard, you were contracted for three book in this series but you have a longer series planned. Can you give us any news on this front? Nothing I can share at this point, but I’ll be sure to let everyone know as soon as I can whether there will be more books after White Heart of Justice! Is there anything you'd like to add for our readers? If you’re interested in hearing more about Fiery Edge of Steel and possibly winning some copies, check out my “Fiery Edge of Steel Blog Tour” page on my website. For anyone who lives in the Baltimore/DC area, I’ll be giving a talk at the Library of Congress Science Fiction and Fantasy Forum lunch series in July and will be at the Baltimore Book Festival in September. Check my “News & Events” page for more details. Finally, if you have read either Dark Light of Day or Fiery Edge of Steel, please consider writing a review wherever you hang out online. A sentence or two can go a long way toward increasing a book’s visibility. I am very appreciative of all of the help and support that readers have shown. Thank you!! Thank you for joining us, Jill, and congratulations on the release of FIERY EDGE OF STEEL! 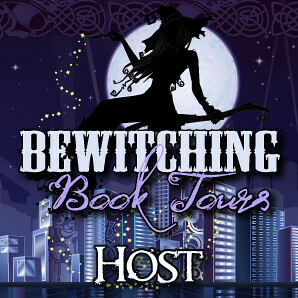 Enjoy the rest of your blog tour! Thank you, Jenn! Good luck with your doctorate! Noon Onyx is the first female Host in memory to wield the destructive waning magic that is used to maintain order among the demons. Her unique abilities, along with a lack of control and a reluctance to kill, have branded her as an outsider among her peers. Only her powerful lover, Ari Carmine, and a roguish and mysterious Angel, Rafe Sinclair, support her unconventional ways. Jill is offering a great tour-wide giveaway: 2 prize packages which include copies of both DARK LIGHT OF DAY and FIERY EDGE OF STEEL and $10 e-Gift Certificates (open internationally so long as Book Depository ships to the winner's address, but US residents can elect to have signed print copies sent to them)! Just obey the Rafflecopter to enter! Jill Archer is the author of Dark Light of Day, the first book in the Noon Onyx series. Raised in Pittsburgh, Pennsylvania, Jill now lives in rural Maryland with her two children and her husband, who is a recreational pilot. She blogs about books, movies, interesting people, and various weekend adventures. Wonderful contest, thank you for the blog today! Hi everyone! 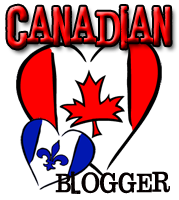 Stopping in to say hello and thank you to Jenn and Tynga's Reviews for having me here today. Appreciate the comments, Mariska and Diane. Hope everyone is having a nice Monday! The series sounds awesome. Love fantasy (especially when there's lots of magic) and with romance too. THanks for the opportunity to win. Great blurb. Thank you for the giveaway. Sounds like a great series!! Really enjoyed the interview your books sound great and I love the covers adding these to my must have list .Thank you for sharing with us and for the giveaway.Hope you have a fantastic week. Sounds like an awesome series! Thanks a lot for the giveaway!! Jill, I love the mix of genres. Hard and fast rules are for the feint of heart, not Noon Onyx. ;) Great interview!! Yep, that e in faint was really supposed to be an a.
I haven't read these books but the interview made me interested in checking out. She had a good answer about love triangles. This series sounds really interesting. I'm not sure if I will like it, but I think I probably will. I would love to give it a try at least! Thanks for the giveaway! I love the book cover and the synopsis look great! I really want to read this series!!!! Thanks so much for the chance to win!!!! !